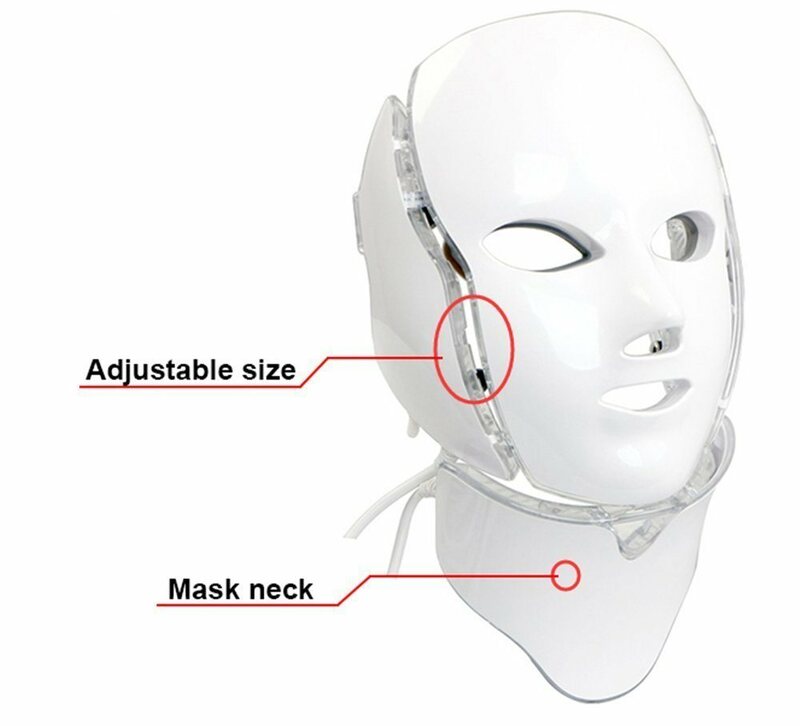 Led Facial Mask with Neck | Vanity Center Skin Specialist Corp. 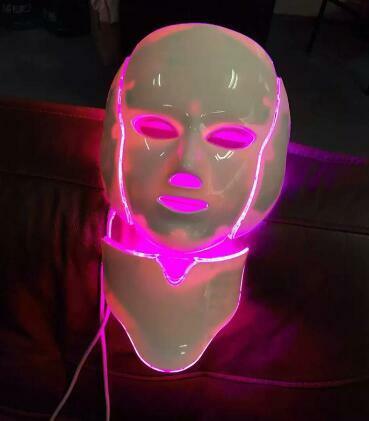 It combines red light and blue light, which has two phototherapy effective . Particularly it has a good effect on repairing the acne. It can penetrate the skin deeply, so to accelerate the tissue metabolism, decomposition color spots, improve the appearance of fine lines and ageing skin. 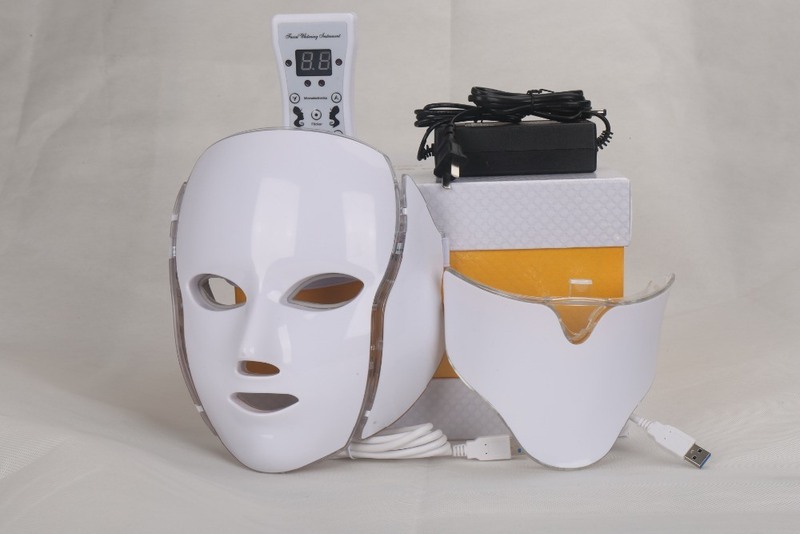 Microcurrent stimulate the cells, then the tighten the skin, so that to reduce wrinkle and fine lines. 1. 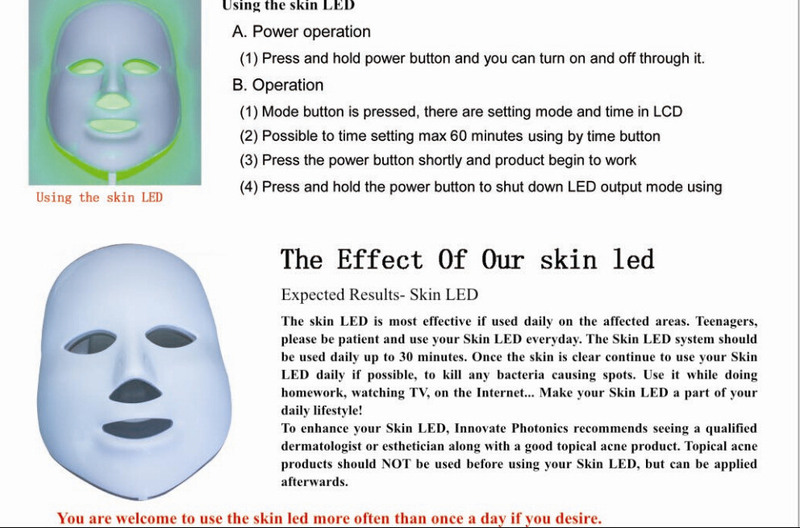 Wash your face with a good quality skin care product before using the Skin LED, Although optional , results will be more dramatic if used with a high quality skin care product.Products containing Vitamin A (such as Retin-A) should only be used after using your skin LED as these products may block the LED light from penetrating into skin. 2. Put on the safety goggles/glasses provided , place the mask on your head. 3. 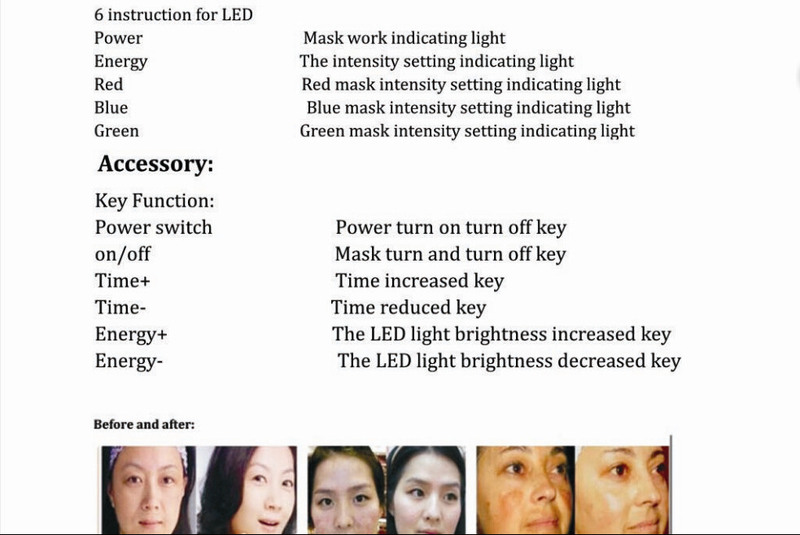 Switch on, allow approximately 20 minutes for each daily session, it is highly recommend you use the Skin LED system daily as this will provide optimal results, Most people relax in the privacy of their home, watch television, catch up oh phone call surf the web, or read a book while using LEDS. 1. Do not allow to use it exceed 20 minutes within 24 hours. 2. Pregnant women, kids, thyroid patients, allergy sufferers and people with skin wounds , pls do not use it! 3. To use it when lying, do not use it when sitting. 4. Switch on power supply after you wear it in proper way. 5. Stop using if irritation occurs.